The Deep Dark lilac Roses are most often used during springtime for wedding arrangements. Because of their attractive and eye catching blossoms, They have long been considered a symbol of love and commitment. These magnificent blossoms with star shaped bloom are sure to captivate the attention of your friends and family on your wedding day or whatever special occasion! . Your order will be freshly cut only 3-4 days before arriving directly to your doorstep. 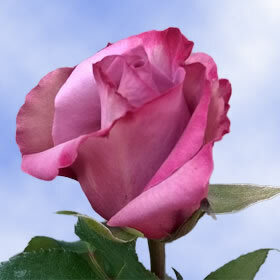 Globalrose promises a simple, carefree shopping experience. With more than 30 years expertise growing only the finest flowers, our company produces an eco-friendly product that is cultivated year round using the latest technology. Every floret purchased is hand picked, quality graded and hydrated, before they are packed and sent overnight to our refrigerated warehouse and then shipped via FedEx to their destination. We appreciate each and every customer and guarantee cheap prices! 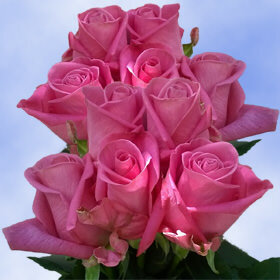 Mail order online at www.globalrose.com 7 days a week, 365 days a year!